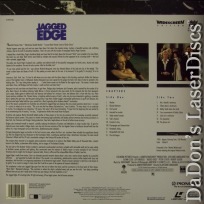 Jagged Edge 1985 - 108 min. 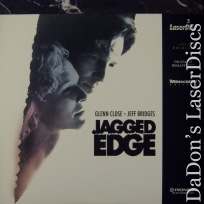 - Color Genre: Thriller Rated R Country: USA LaserDisc Movie Storyline: After a wealthy socialite is found brutally murdered, her manipulative husband becomes the prime suspect. An attractive attorney takes his case, and their relationship quickly evolves into what on the surface appears to be mutual love. Academy Award Nominations: Best Supporting Actor--Robert Loggia. 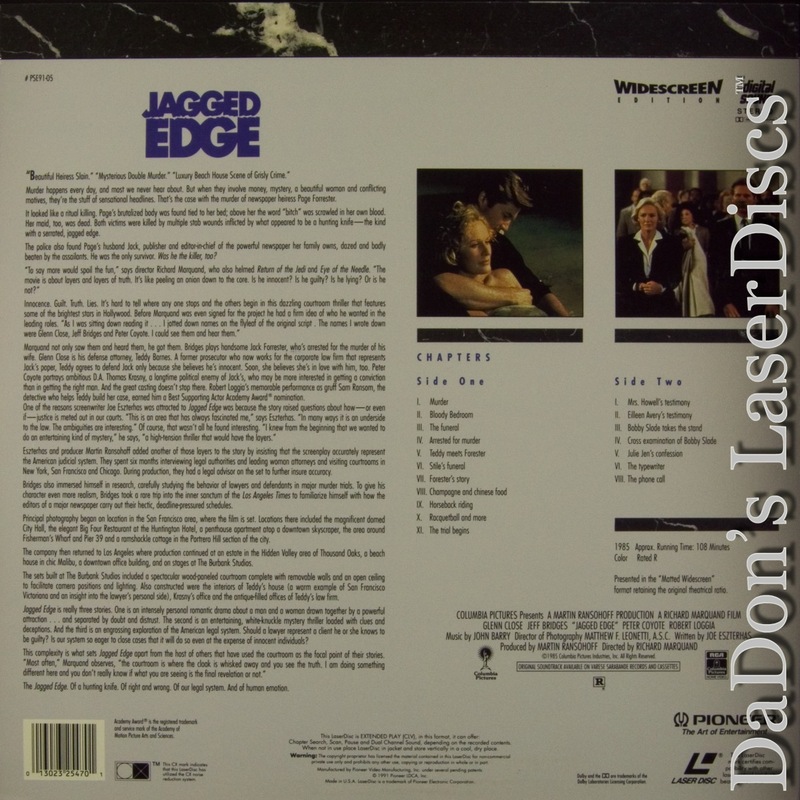 Crew for Jagged Edge Richard Marquand Director Joe Eszterhas Screenwriter Matthew F. Leonetti Director of Photography Martin Ransohoff Producer John Barry Composer Academy Award Nominations: Best Supporting Actor--Robert Loggia.